I regret that I only caught two songs by this musician. Have you ever thought to yourself, “Gee, I love the Black Keys and White Stripes, but there are too many band members?” If so, Reignwolf is the musician for you. He’s a Seattle-based singer and guitarist who happens to play the kick drum during his set, which has led to a good deal of local buzz over the past year. He brought a backing band for his Bumbershoot set, but I only caught two tracks before heading into Key Arena for Best Coast. But those two tracks exhibited less of an affinity for the blues and more of a classic rock inclination than his contemporaries. They were a blistering pair of songs, and I can’t wait to catch Reignwolf again — most likely in a smokey tavern, with a cup of warm beer in hand. It seems like the ideal atmosphere for his Southern-fried sound. I’ve been enamored with Best Coast for the better part of two years. I love the straightforward lyrics, fuzzed-out guitars, and sunny sound, so it was exciting to see the band in concert. If only the Key Arena was a venue worthy of live music at this point. The acoustics in the bowl are dreadful, and Best Coast’s sound was drowned out and muddied. Not just that, but Best Coast, with its cheerful sound, is meant to be heard outside on a perfect summer day — not inside, where the sun shines in through the tunnels to the concourse. Still, it was nice to finally see the band live, and I enjoyed the upbeat set. The funniest moment of the show came when lead singer Bethany Cosentino introduced a song by talking up her love of summer. She took it one step further by saying something like, “We’re on the west coast, where it’s an endless summer, right?” I’m not sure she was kidding, either. The naivete of that question made me wonder if Cosentino had ever traveled north of, say, Fresno. 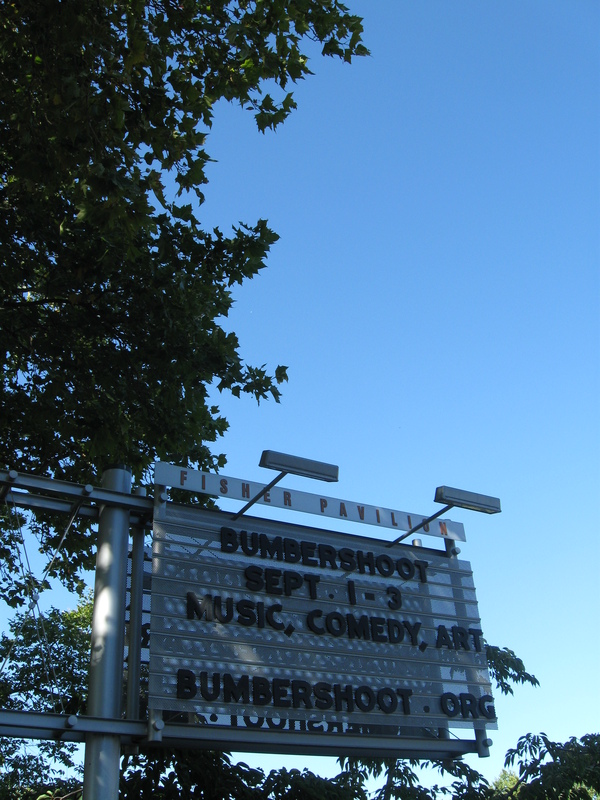 In addition to the live music, visual art, and stand-up comedy that I’ve written about, Bumbershoot offers a lineup of theater performances throughout the weekend. One in particular — “Miss Fanny’s Fun Box” — caught my eye. Somewhere in there, I spent two hours with Passion Pit. The pair of performances I saw are worthy of their own blog post, so I’ll offer up some reflections as soon as I can compose my thoughts. A day later, I’m still shell-shocked by the shows.